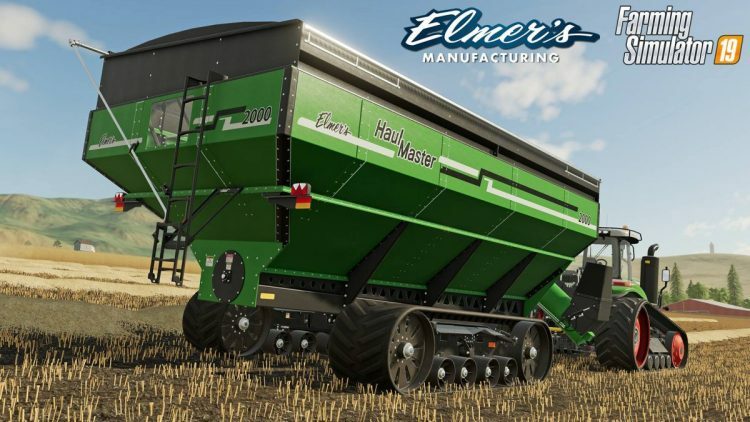 We’re ecstatic to announce that the Elmer’s Manufacturing HaulMaster Grain Cart will be in Farming Simulator 2019 which will be released November 20th on PC/Mac, PS4 and Xbox One. The HaulMaster will be available in bushel capacity sizes of 1300, 1600 and 2000 plus in a range of different colours. The HaulMaster is a leader in innovation in the Grain Cart/Chaser Bin market and we’re happy to give the farming simulator gaming community an opportunity to use it.